Now I'm already seven weeks into my mission - how time flies! After I worked in a camp for displaced people in Bentiu in South Sudan on my first mission, MSF has taken me this time to Sierra Leone in the Tonkolili District. MSF has been supporting the gynaecology and the children's department of the state hospital in Magburaka since January 2016. First, I worked directly in the hospital in the children's clinic. Every day we treat many children here – e.g. with severe forms of malaria, diarrhea, pneumonia and burns. Because of the Ebola epidemic the health system is still weakened. Approximately 200 local doctors, nurses and other employees in medical facilities have died of Ebola. MSF now helps to fill gaps with our projects. It is not easy and we always lose some of our young patients when they come to the hospital too late, because it's a long way to travel to the functioning clinics. 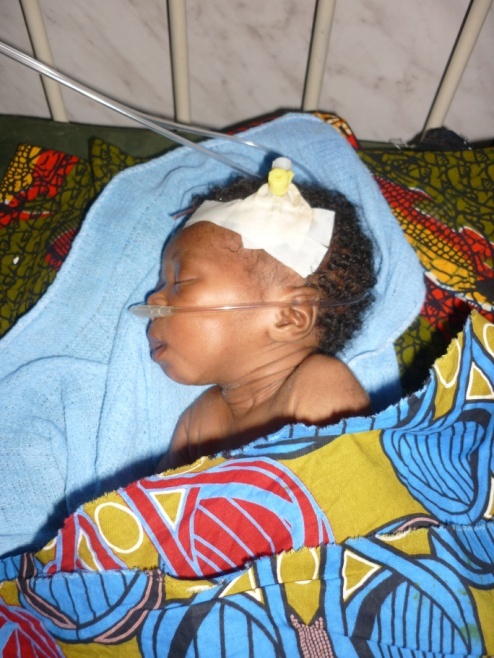 The mortality rates of mothers, newborns and children under five in Sierra Leone are unfortunately high. If we lose children, these are the most difficult moments for me. And on the other hand I really enjoy the work with the little ones. When a child starts to smile after a long battle against malaria, or the mother greets me on the floor of the hospital by my name, I know again that my work is important. That I want to be right here and nowhere else. 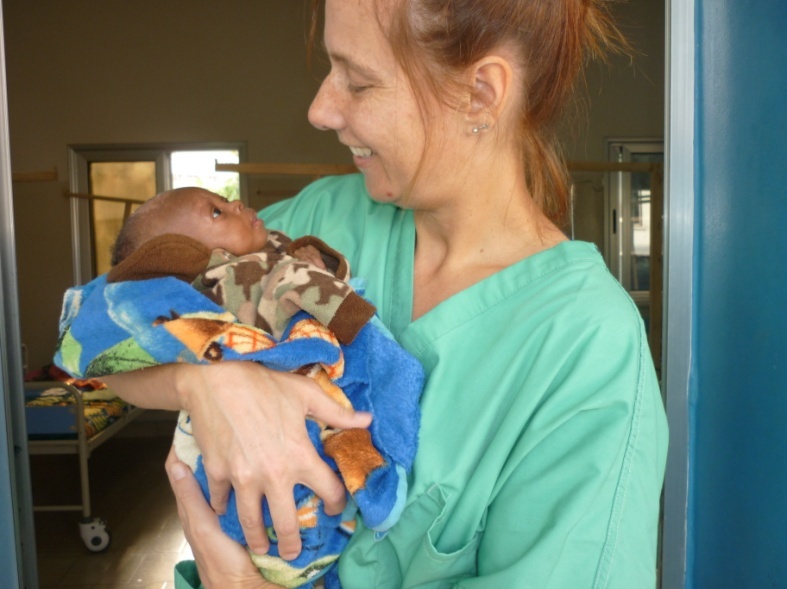 Mariatzu was my first little patient in Sierra Leone. The baby was infected during birth with tetanus. The mother gave birth on the road. Without clean water, only assisted by the grandmother, the child was born and finally brought to our neonatal ward. Mariatzu, my little miracle, has shown her fighting spirit. After a few weeks she recovered we were able to discharge her from the ward. Mariatzu now breastfeeds and makes herself known with a loud voice when she needs something. I was glad especially for her mother, who has not left Mariatzu's side for a minute. Her recovery was one of those magical moments that gives me the energy for everything else. My time in the hospital is over now and I dedicate myself to a new task: together with a midwife, my team and I are in the Yoni Chiefdom to support the governmental health centre in the small town of Mile 91, which takes care of mother-child-health including obstetric and neonatal treatments.